Seriously, how good is Cristiano Ronaldo? Seriously, Cristiano, now you're just showing off. 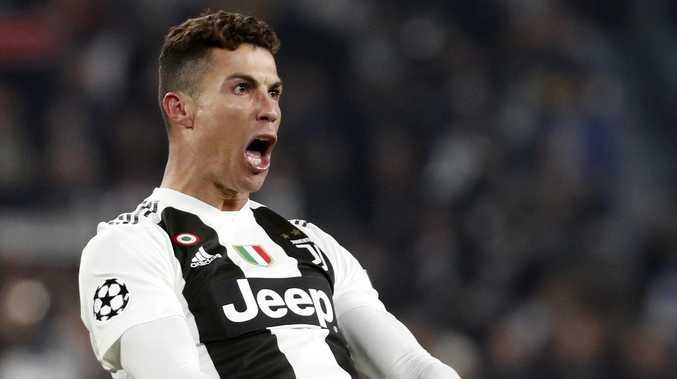 The 34-year-old took self-confidence to a whole new level in Juventus's stunning come-from-behind win against Atletico Madrid on Wednesday to progress to the quarter-finals of the Champions League - and he delivered as only he knows how. When you're as good as Ronaldo, you can afford to walk around with a big head and the ego will only have inflated further as he showed once again what makes him so special, leading the Italian side to a spectacular victory. 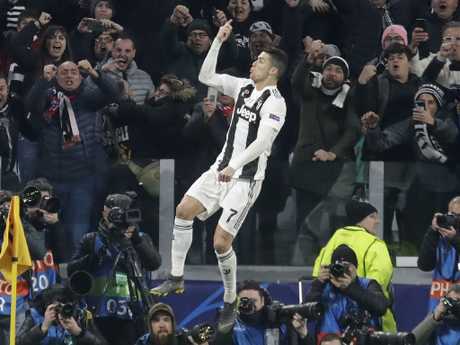 Down 2-0 after the first leg of their tie, Juventus stormed to a 3-0 win in the second leg to secure a 3-2 aggregate win courtesy of a hat-trick from the Portuguese star. Amazingly, according to Spanish publication Marca, Ronaldo told close friends and family before the match to tune in because he predicted he'd put three goals past the keeper. And such is the confidence and clutch ability of the man, was it ever in doubt? Juventus players and fans went nuts over Ronaldo's magical outing - and so did his son, who cheered on from the stands when his old man slotted his third goal from the penalty spot. Ronaldo's masterclass saw him record his first hat-trick for Juventus since leaving Real Madrid. He netted from open play in each half and then converted a late penalty as Juventus ended Atletico's hopes of reaching the Champions League final in its Wanda Metropolitano Stadium. It was Ronaldo's eighth hat trick in the European competition, moving him level with Barcelona's Lionel Messi and demonstrating why Juventus paid Real Madrid $AUD180 million for the Portugal star who has dominated the Champions League in recent years. With this 90-minute bonanza, he just repaid the investment. Ronaldo is looking for a fourth straight Champions League title, while Real Madrid was eliminated without him by Ajax last week. Juventus thought it had taken the lead less than three minutes into the game but VAR confirmed Ronaldo had fouled Atletico goalkeeper Jan Oblak before Giorgio Chiellini fired in the rebound. There’s only one Cristiano Ronaldo. Italian forward Federico Bernardeschi was handed a start instead of Paulo Dybala for Juventus, and he responded by putting in a cross from the left for Ronaldo to head in at the far post in the 27th minute. Bernardeschi also had several chances to extend Juve's lead - notably with an audacious overhead kick in the 35th minute which flew narrowly over. Ronaldo went close again shortly before halftime when he again out-jumped everyone but headed Leonardo Spinazzola's cross wide of the right post. But he bounced back by scoring the second goal three minutes after the break. Joao Cancelo put in a cross from the right and although Oblak clawed Ronaldo's header out from under his crossbar, goal-line technology confirmed the ball had crossed the line.